We are a private dental clinic, located on the Kings Road in London, providing general, cosmetic, implant, orthodontic, periodontic and endodontic dentistry. Our experienced dentists use advanced dentistry techniques and the latest dental technology to provide the highest quality of dental care available. Do you have painful, unbearable toothache? Or, have you broken or lost a tooth in an accident? We have an emergency dentist available in London – we will always try to see you the same day or within 24 hours. 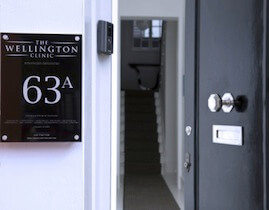 Award winning dentists in London, The Wellington Clinic offers a complete dental service, from preventative care and hygiene, to restorative and cosmetic dentistry treatments and surgery. 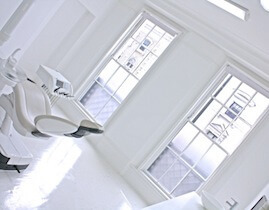 All services are available at our private dental clinic in Chelsea. Call now to make an appointment. Our dentists use only the best techniques for teeth whitening, composite bonding, veneers, crowns, bridges and dentures available in London. Smile makeovers or smile design using detailed planning and innovative techniques enhances your smile whilst preserving healthy teeth. Provided by our specialist orthodontist you can be guaranteed excellent results. An expert in all types of braces from traditional to invisible for both adults and children. We utilise advanced techniques to bring you the best results in the shortest possible time at an affordable price. Dr Nicholas removed my wisdom tooth without any pain. He’s an excellent dentist. My gratitude to Nick for implant surgery! He performed the highest implant surgery without any pain and the healing process took a couple of days to my highest surprise. I am so grateful to Marjan for the quality dental treatments. I am a dentist myself. I can recommend Nick and Marjan to all my friends! Thank you, best wishes. It is the best dentist I have ever been to in London (I have lived in London all my life, and been to at least a dozen different dentists). I would like to thank you for the recent dental work you have done for me, I am perhaps more aware than most patients of what a difficult task I presented you with after my fall had loosened my already precarious front teeth. The implants and crowns are not only cosmetically excellent but also functional, who could ask for more? I visited The Wellington Clinic to get the crown on an implant changed. 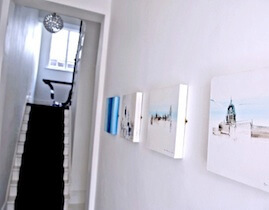 The work carried out was second to none. 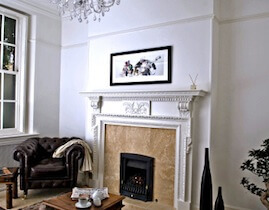 The clinic is conveniently located in the heart of London, and is pristine throughout. As someone who isn’t particularly comfortable with visiting the dentist, this is an altogether different experience. I am throughly pleased with all the dental work carried out, and would highly recommend The Wellington Clinic for their cosmetic dentistry. I had braces treatment with Dr Marjan. So happy about the result! Such a beautiful place and good customer service. I’ll be going back again for sure.